Nobody can predict the markets with 100% accuracy. However, everyone can use tools like historical data, industry research, and current events to get some insights as to where it’s heading. Those tools give us priceless info toward the right ways to grow our wealth, as well as protect it from dangerous trends in the economy. And right now, they’re showing signals that September 2016 could be a time when Americans need protection the most. 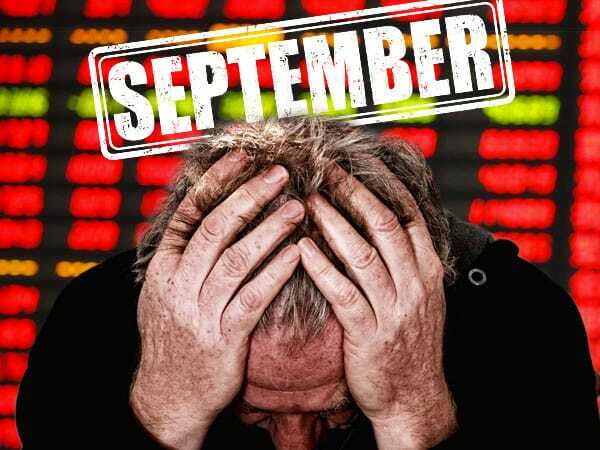 Not only is September infamous for being Wall Street’s worst month of the year dating back to 1928, but professionals fear several other factors that could make it even rockier than usual. Here are a few reasons why you should be cautious of what’s ahead in September. Since the beginning of 2016, the Federal Reserve has been hinting more and more at the possibility of executing the second major rate hike since the Great Recession. It’s a delicate situation because nobody can be sure how the still-recovering U.S. economy might respond. Cryptic statements from Fed officials make it difficult to estimate a timeline for such a rate hike, but they’re starting to imply more clearly that it could be coming soon. And professionals believe that the Fed’s meeting on September 21 might cause a splash in U.S. markets – whether officials announce a rate hike or simply increase the certainty of their language to indicate one will arrive before the end of the year. According to Bloomberg writer Luke Kawa, this year’s presidential election is unprecedented in the potential impact it could have on the economy – mainly because most of Wall Street is treating it as a forgone conclusion. See, the finance sector is assuming that Hillary Clinton will take the White House and leave many of the existing policies from the past eight years in place. That’s one of the reasons why markets have continued to rally through the election season thus far. Things could get ugly, though, if the script gets flipped and Trump starts pulling ahead in the polls, which could easily happen after the first major presidential debate in just over three weeks. We recently discussed how market watchers are skeptical of the “scarily quiet” market we’ve experienced over the past several weeks, and how it could easily be a deceptive calm before the storm. Now many believe September to be a prime opportunity for that storm to make landfall. Markets haven’t been this tame in over a decade, and with several potentially destabilizing events coming in September, professionals are starting to bet on an abrupt end to this historically uneventful trading period. These three risky factors – combined with the fact that September has had a negative median return since 1928 – make the month ahead an ominous prospect for Americans. The chances of a major rebound from a historically uneventful August into a highly volatile September appear more than likely. However, intense periods of risk (like this one) always drive people to seek security in a commodity they know will retain value, and gold happens to be the commodity that a huge number of people run to. So while September might be scary for most, it could be the gold buyer’s best friend.